Iris features a dynamic champagne plated wedge supporting a generous cantilevered glass tabletop. 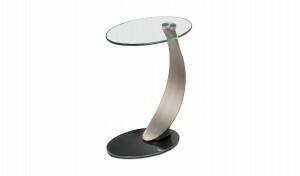 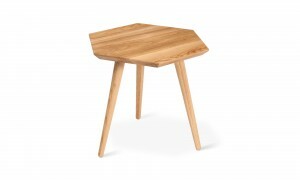 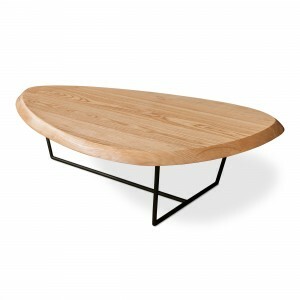 This unit is strong enough to support a laptop computer, yet stylish enough to stand alone as an elegant accent table. 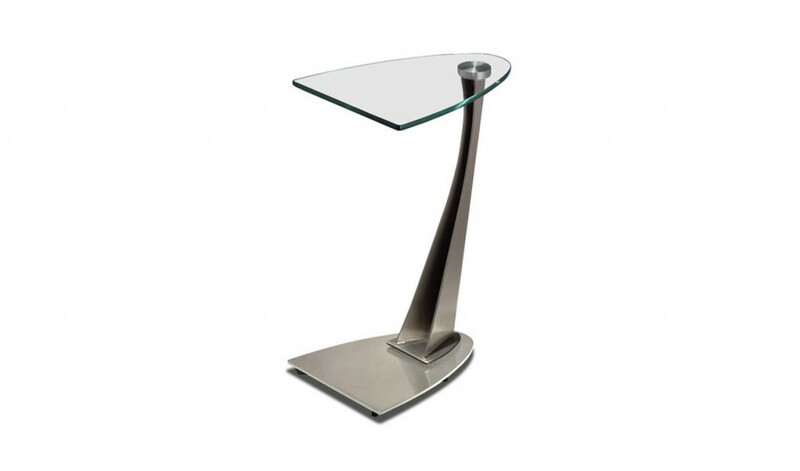 Base available in twelve metal finish options.